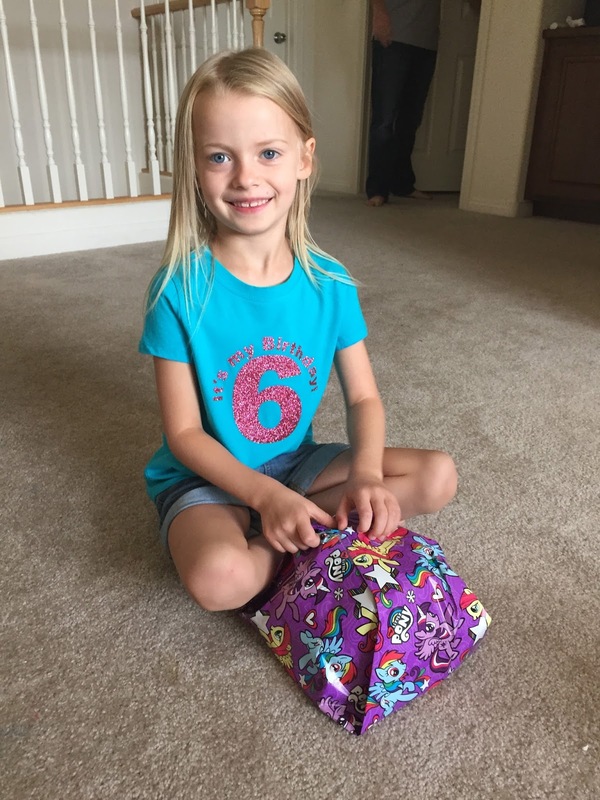 Schoolhouse Ronk: July 30th 2015 - Kenley turned 6! 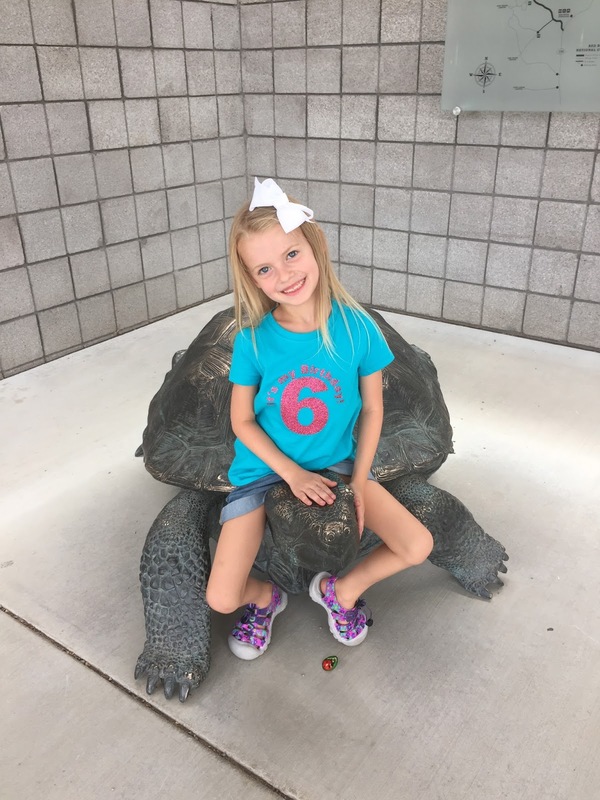 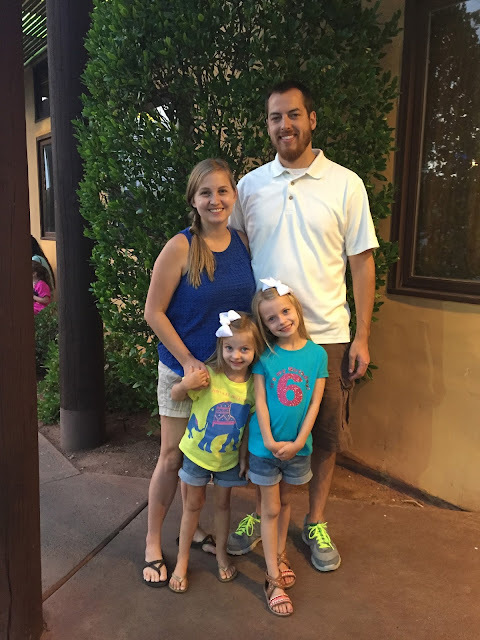 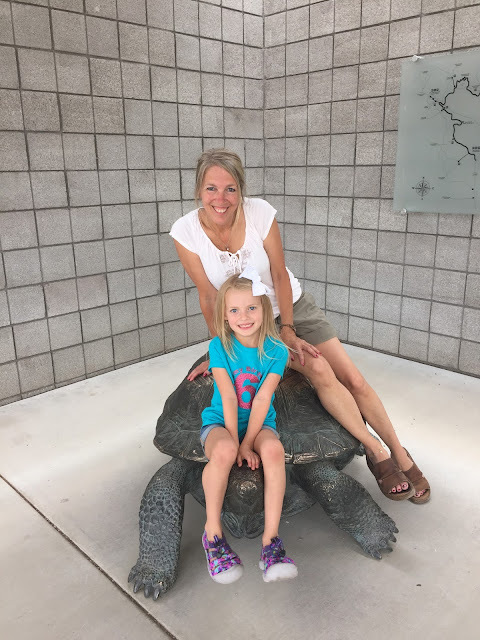 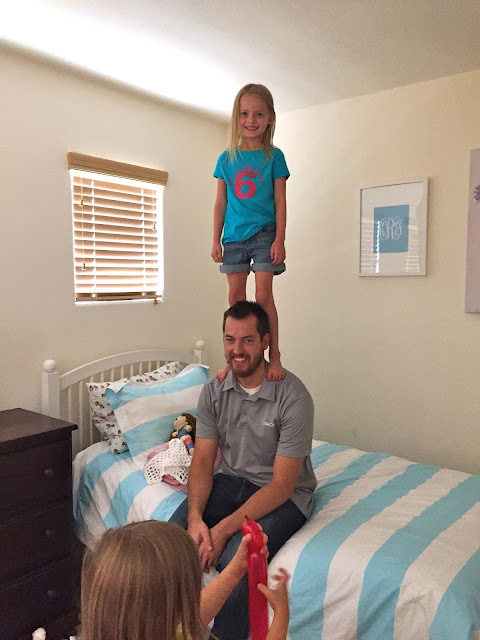 July 30th 2015 - Kenley turned 6! 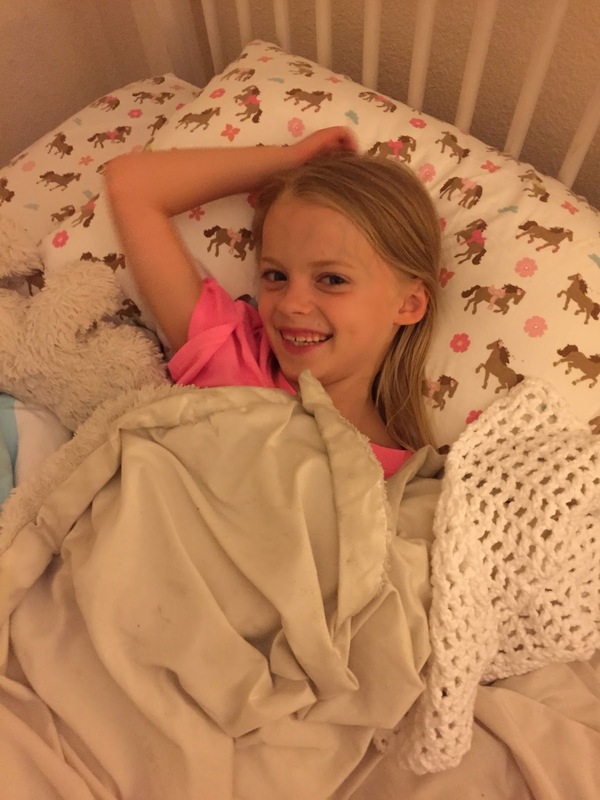 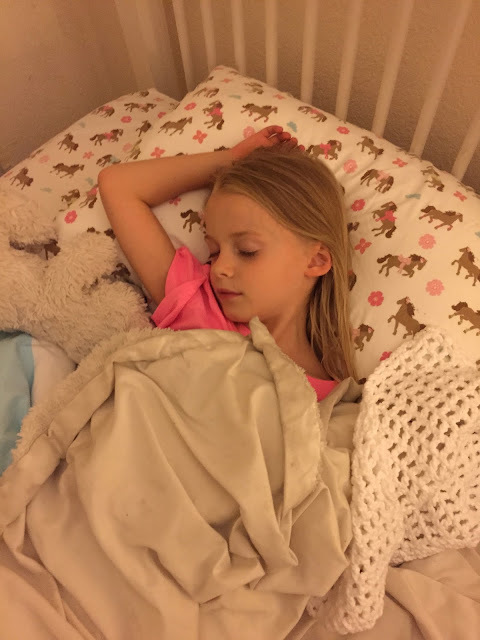 Last bedtime as a 5 year old! 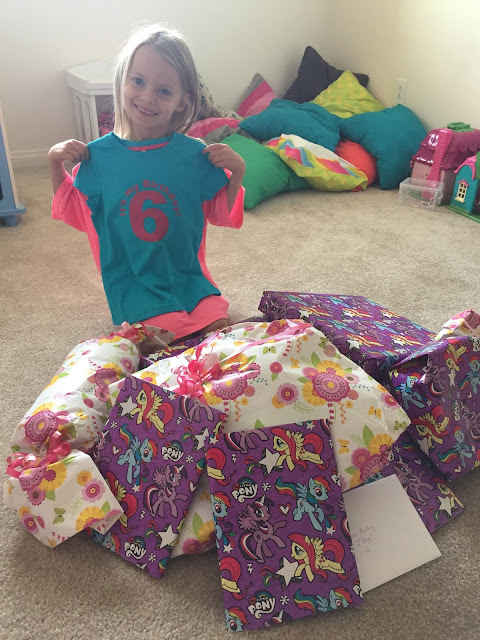 Thursdays were Red Rock Canyon day so we headed there after she opened her presents! Grammy was in town to celebrate Kenley's birthday! 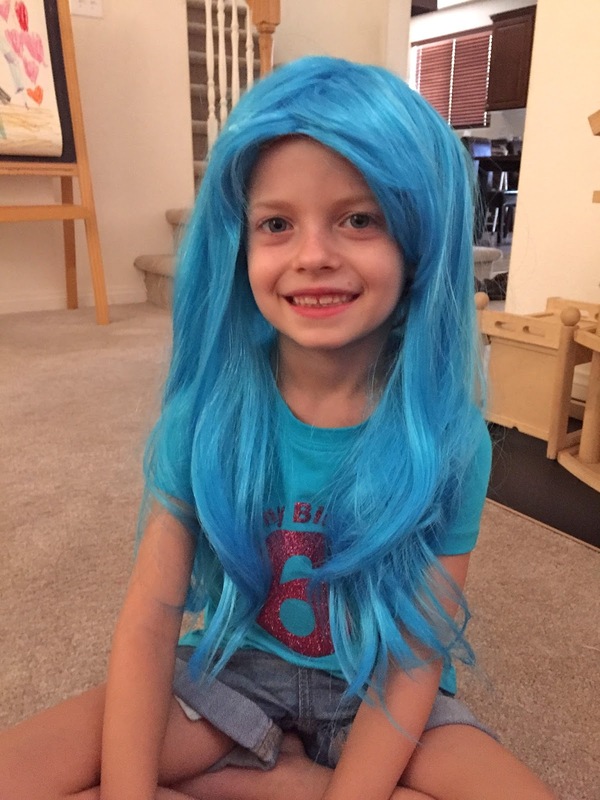 Kenley LOVES Pentatonix so she has been asking for a blue wig for a long time! Thanks Auntie Amy! 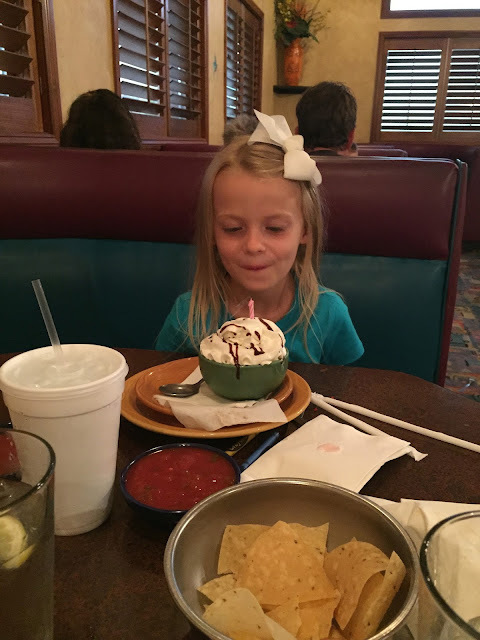 We went to a Mexican restaurant for dinner! She was totally surprised when they started singing to her! 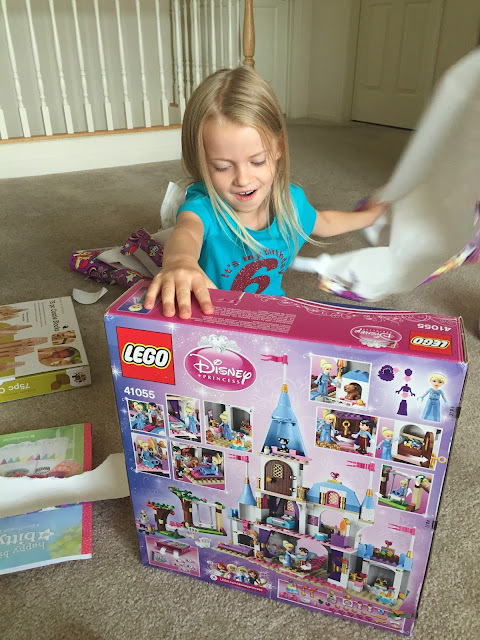 Her reaction was great! 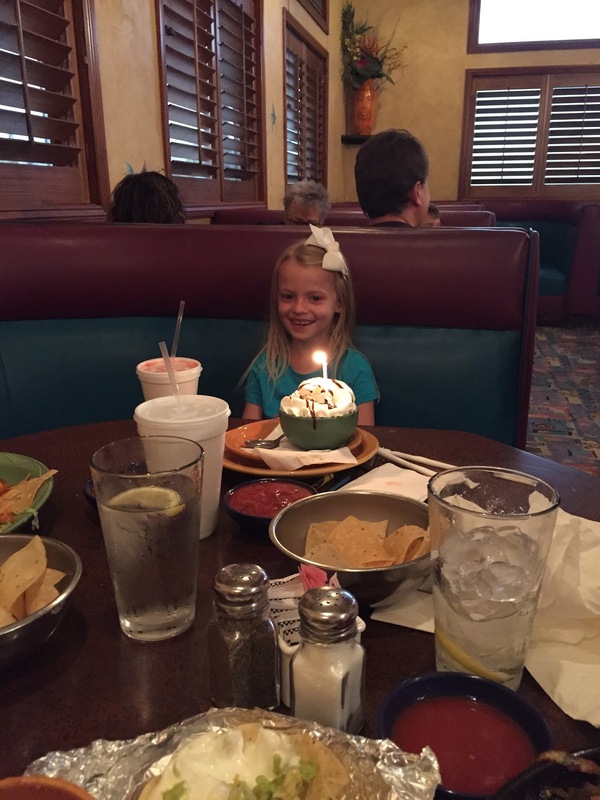 We love you Kenley girl!